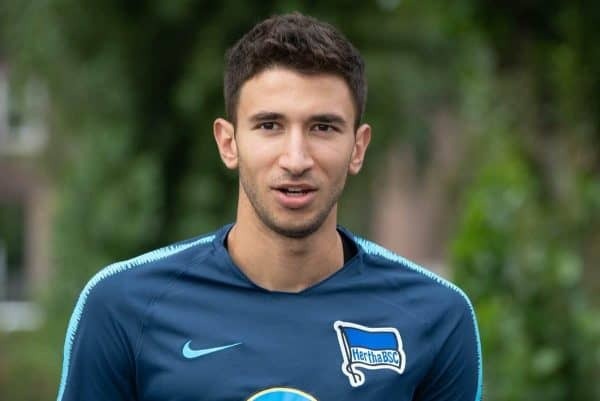 Due to a pair of ankle injuries and a winter break, Grujic has only made eight appearances for Hertha so far, but is already a big favourite in Berlin. The Serbian made his return with a 57-minute showing in Sunday’s 3-1 win at Nurnberg, replaced by Vlad Darida after the visitors’ second goal in a convincing display. Including Grujic was a big moment for Dardai, who restlessly weighed up whether to risk the 22-year-old after a lengthy spell on the sidelines and then left it as long as possible to withdraw him again. And speaking to Hungarian outlet Index after the game, he outlined just how important he feels the midfielder is. “This is the first time in my life when I didn’t have to settle with the middle shelf of the supermarket, instead I was able reach the top shelf,” Dardai enthused. “This is the first time I have a player like him, unfortunately only on loan from Liverpool. “Before the Bundesliga game we had an exhibition match between Hertha ‘A’ and ‘B’ teams. Grujic was on the ‘B’ team, and they won 1-0. “But it doesn’t matter what I think of him, the numbers talk for themselves. “When he started and played a lot we had a 2.4 point average. He has the whole team on his shoulders. “With this point average we would contend in the Champions League. Top three teams in the Bundesliga have a point average like this. “If he doesn’t do anything, he still makes all the others calm with his presence. You know, he provides stability. “Without him, we have a 0.7 point average. We would be relegated with this kind of performance. This is incredible given how little Grujic has played so far for Hertha, missing 10 games in the Bundesliga, but Dardai’s belief in the youngster is unwavering. 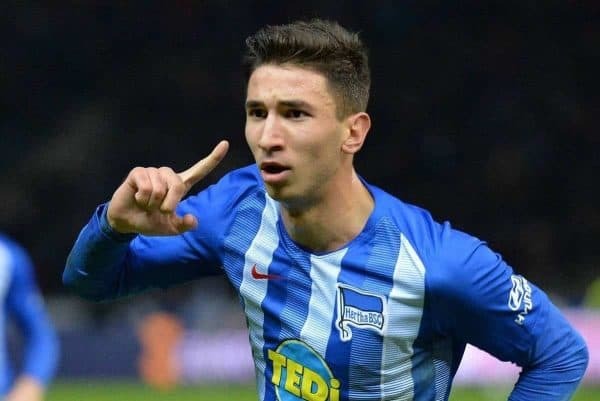 Whether this is a charm offensive from Dardai in an effort to secure a permanent deal for Grujic in the future remains to be seen, but in terms of his loan it could not be better. With the likes of Ovie Ejaria and Ben Woodburn struggling with their temporary clubs in the first half of the season, and arguably under-appreciated, Liverpool have struck gold with Hertha. And if Dardai’s praise is accurate, it certainly bodes well for when Grujic returns to Merseyside in the summer. Many thanks to @ScouserHUN for the original translation!